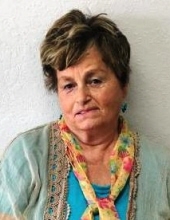 Carol Ann Smith, age 75, of Mt. Vernon, Missouri, passed away at 4:05 p.m. on Monday, January 21, 2019, at her home. She was born May 27, 1943, in Mesa, Arizona, the daughter of Buck Wayne and Thelma Josephine (Hall) Sharp. Carol was a Certified Nurse’s Aide for Oxford Home Health Care and she worked at County Junction in Mt. Vernon and also worked at Dayco Products in Springfield, Missouri. Carol married Benjamin Smith in September of 1990 at their home in Mt. Vernon. He preceded her in death on September 17, 2011. Carol is survived by her son, Mark Lofton, of Union, Missouri; two daughters, Charlene Wayman, of Billings, Missouri and Tammy Batson of Webb City, Missouri; five sisters, Ila Smith of Republic, Missouri, Phyllis Hollingsworth of Ohio, Debra Hall of Pierce City, Missouri; Becky Hamby of Michigan and Ronda Dambrosio of Stockton, Missouri; one brother, David Sharp of Ash Grove, Missouri and several grandchildren, great-grandchildren, nieces and nephews. Her parents, Buck and Thelma, husband, Benjamin, son, Timothy Lofton and brother, John Sharp, preceded her in death. A memorial service will be held at 1:00 p.m. on Saturday, February 9, 2019, at the Curtis Chapel. Burial will follow at the Marionville IOOF Cemetery. Arrangements are under the direction of the Williams Funeral Home in Marionville, Missouri. To send flowers or a remembrance gift to the family of Carol Ann Smith, please visit our Tribute Store. "Email Address" would like to share the life celebration of Carol Ann Smith. Click on the "link" to go to share a favorite memory or leave a condolence message for the family.